In running both this site and the number of others we do, we’re often contacted by people asking to be mentioned in a blog or article, and usually they’re nothing to do with the subject of the site they’re asking to be on, and are not offering any value or any quality experience to our visitors. So on monday this week I was contacted by David of PikWizard, and I expected much of the same and very nearly hit delete on his email out of hand. However, David was asking politely, he’d chosen one of my articles (http://www.scruffydug.com/articles/free-stuff/ which was relevant to his site) and actually seemed to understand the situation from my side, so I checked out his site . . . . And it’s great. It went straight into my bookmarks, and although all he was asking for was a mention on the site, I got back in touch with him and said if he wrote a wee article, I’d publish it on here. As for PikWizard, I’m impressed and I’m sure you will be too if you check it out, I’m not sure the value my word carries, but I highly recommend PikWizard. Visuals are becoming increasingly important in today’s digital marketing world. 37% of marketers suggest that visual marketing is currently the second most important content for their business. While blogging came in first, even your blogs need pictures to thrive – after all, who wants to read a block of text with no images? 74% of social media marketers use visual assets in their campaigns – that makes pictures more valuable than videos and blogs for the social world. People who see an image paired with information retain up to 65% of that data three days later – combined to only 10% for people who absorb information with no imagery. Where Does PikWizard Come In? The biggest problem with being image-focused on the internet is the fact that most companies today simply don’t have the time or the resources to create their own images from scratch. If you don’t have a professional photographer on the payroll, it can feel as though the only other option is to resort to cheesy stock photos that you seem to see on every other blog or web page. Of course, as any website owner will know, those dime-a-dozen stock images just aren’t enough to get the loyalty and attention of your target audience. You need stunning images that are unique, authentic – and most importantly, free to use. That’s where PikWizard comes in. As one of the more recent photo sites on the web today, PikWizard are storming to the head of the visual pack with more than 100,000 high-quality images, including 20,000 that are entirely exclusive to their website. The great thing about these pictures is that they’re not the same old boring stock photos you’ll find everywhere else. They’re fresh, interesting, and compelling pictures designed to grab your audience’s attention and create conversions. If you’ve ever found yourself on the hunt for a stock photo website before, you’ll know how difficult it can be to find a company that offers the incredible pictures you want for your website, blog, or social media campaigns. On Pikwizard.com, not only are the images available first-class, but they’re also available to suit a range of niches and industries. All you need to do is search for the keywords that are appropriate to your content, and PikWizard will do the rest. Additionally, it’s worth noting that the PikWizard photographs you’ll find are completely free to use, without attributions. That means that you can distribute, modify, copy, and play with the work, all without having to apply for permission. 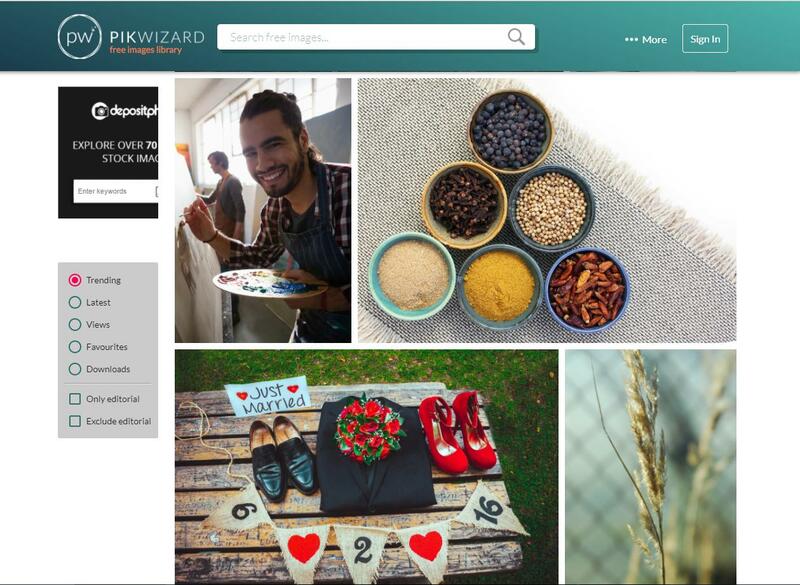 PikWizard delivers natural, high-quality photos in a world of people laughing at salads and forced-looking boardroom snaps. Discover the visuals you’ve been searching for, and bring value back to your content.